I love a good roasted garlic clove, you can use it in just about anything. 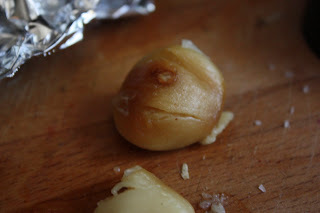 I is sweet, sticky and as soft as butter, unlike the harsh powerful raw version of garlic. 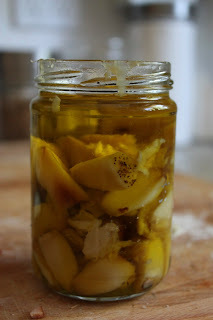 Olive oil to cover in jar and drizzle over bulbs. Take two squares of tin foil, one for each bulb. 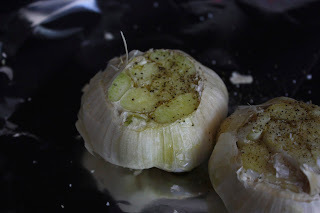 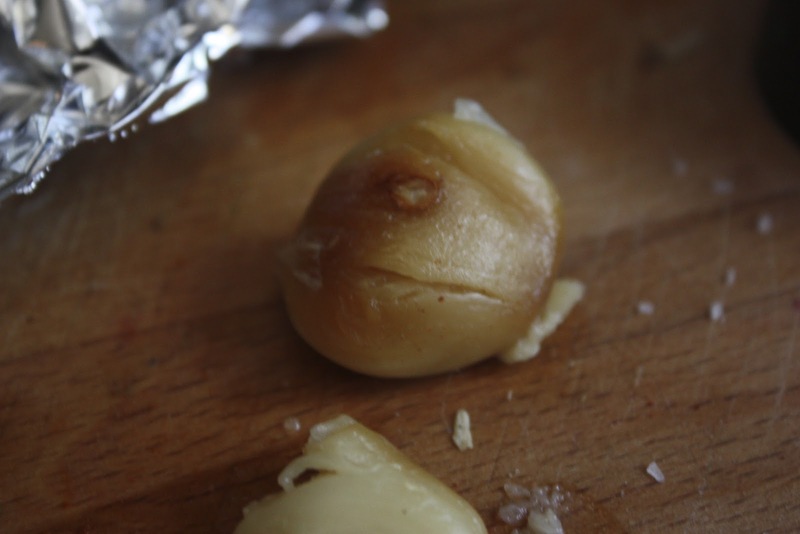 Cut the top of the garlic bulbs off, exposing the cloves. 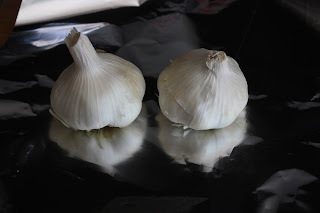 Discard tops. Gather tin foil around bulbs and place directly on rack in oven. 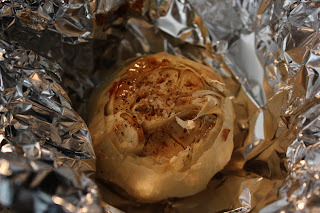 Cook for an hour - or so in the oven - checking after about 45 minutes to see if the garlic has caramelized and a knife tip slides in easily all the way through a clove. Let it cool completely, then using your fingers (kind of a sticky mess but worth it) squeeze the cloves out of the paper. They are caramelized, soft and beautiful! 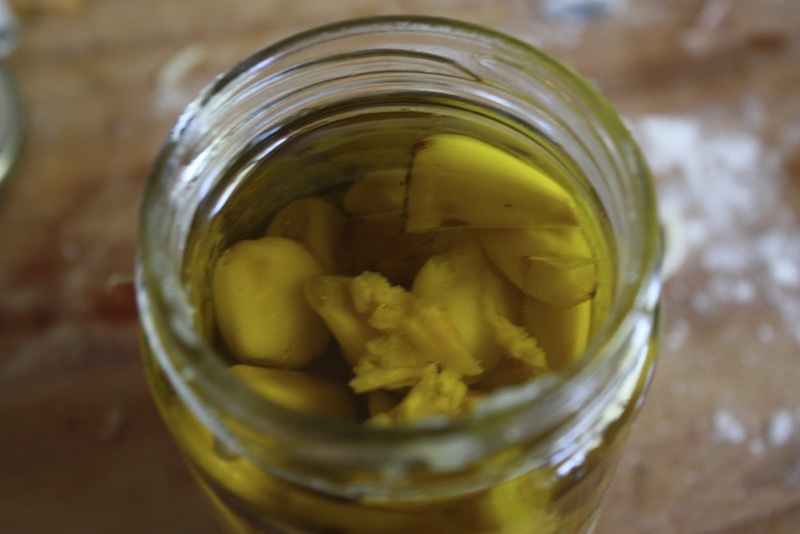 Place the cloves into a small glass jar and then top the cloves with olive oil. 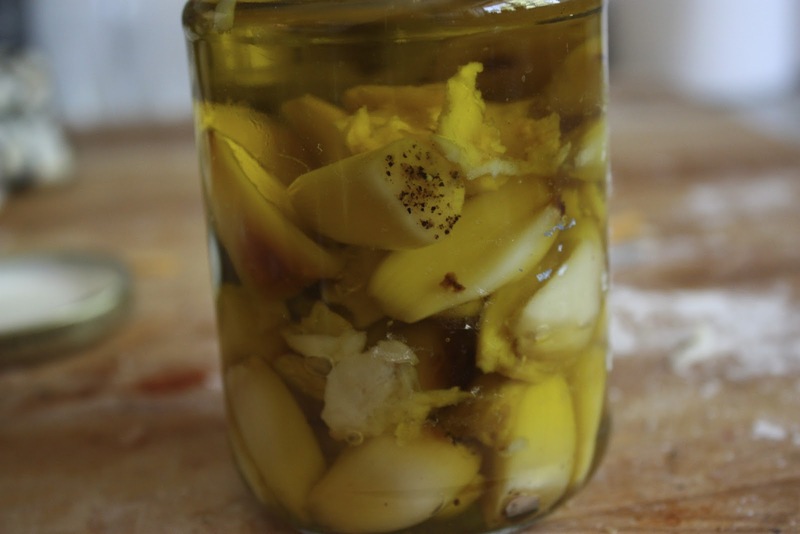 Double bonus the olive oil is infused with the roasted garlic flavor and can be added to dishes to punch up the garlic flavor! 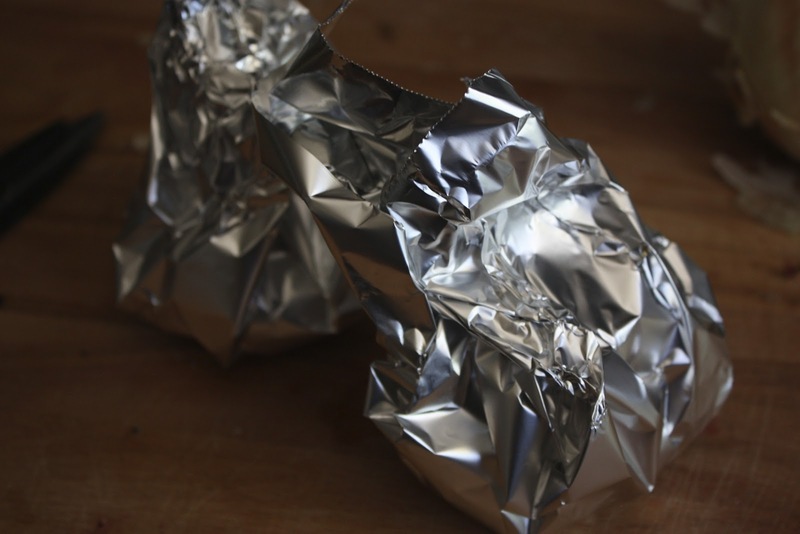 Place in the fridge, it should last a few weeks, although it shouldn't cause you'll use it so quickly.